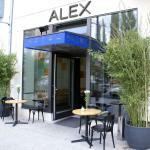 Prenzlauer Berg has undergone profound changes over the years and from the 80’s it is one of the places where take place the alternative culture of Berlin. The main streets of the district are the Kollwitzplatz and the Husemannstraße. Prenzlauer Berg is one of the most lively areas of Berlin, with many clubs and cultural centres. The points of interest are the Wohnstadt Carl Legien, residential complex that is world heritage by UNESCO, the Mauerpark, where take place the flea market. Most hotels of this area are located along the Schonhauser Allee. 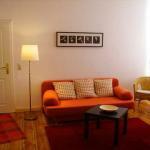 Hotel Pension Intervarko rises in a central location in Berlin, in the heart of Prenzlauer Berg. Thanks to the excellent public transport connections, you can quickly reach Alexanderplatz and other attractions. Located in the heart of Berlin, the Old Town Apartments have a minimalist design and are located near the major shopping and cultural areas of the city, such as the Museum Island. Modern 3-star residence located near the Hackescher Markt district and the Television Tower in Berlin, the Schoenhouse Apartments is easily accessible via the nearby underground station Rosa-Luxemburg-Platz. 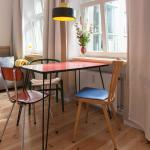 Apartment Schulz is situated in the trendy Prenzlauer Berg district of Berlin, close to Mauerpark and the original Kastanienaleen shopping street, as well as Schönhauser Allee and Alexanderplatz.